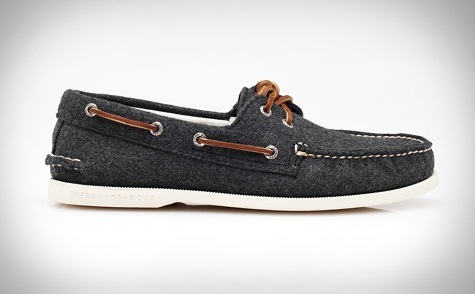 I would love a pair of these grey wool Sperry boat shoes...perfect for Labor Day and a California fall. Love. I have been wanting to add boat shoes to my wardrobe too. oh my gosh. i love love love those! also, after seeing that pic, i'm digging gray and brown together. fun new color pairing for my apartment?? ?